Rio has been in the headlines for all the wrong reasons: government corruption, presidential impeachment, economic meltdown, security concerns, zika outbreak, budget shortfalls, street protests, unchecked doping, and yes, of particular importance to the sailing competition, the disastrous state of the water quality in Guanabara Bay. But there’s one thing that can turn the whole tide around and help Rio save face: the competition itself! It’s easy to get caught up in all the doom and gloom, and there will be a time of reckoning (one can hope! ), but now is the time to cheer for the athletes, marvel at their dedication and their years of sacrifice, and bow to their Herculean skills. Now is the time to get amped! There are two weeks to go before race #1 of the windsurfing competition (it all starts on Monday, Aug 8th), and in case you don’t know the ins and outs of Olympic qualification for the sailing events, only one boat per sailing class gets to represent its country at the Olympics. You finish 2nd at the trials? Good job, but see you next time around. As you can imagine, the qualification process was long and arduous for our windsurfers. It all started with country-level qualifications in Spain in the Fall of 2014, followed by Word Championships in Oman in 2015, in Israel in 2016, and a World Cup regatta in Miami last January. After 18 months of nail-biting competition, it all came down to the wire at an European Cup event in Palma de Mallorca (Spain) in early April, where Marion Lepert (San Francisco, CA) and Pedro Pascual (Boca Raton, FL) emerged victorious and earned the right to join the US Sailing Olympic team – and wear red, white and blue Sperry Top-Sider loafers in Rio! 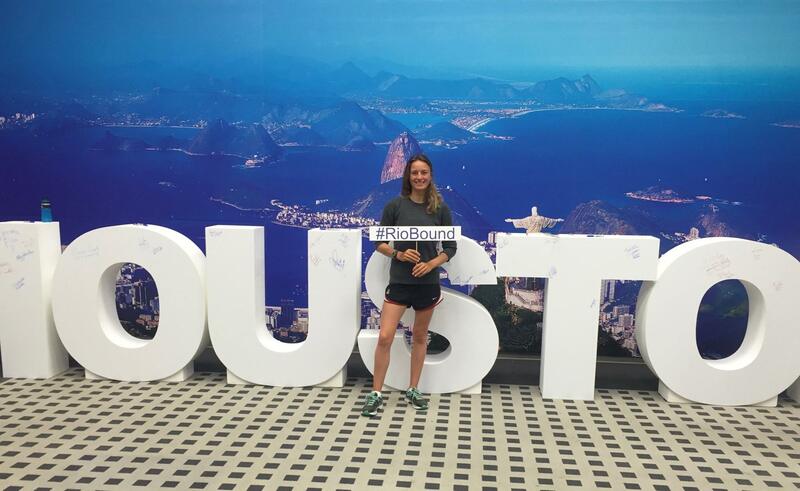 No time to celebrate though: with only a few months left before the Games, our two athletes immediately headed to Rio for one training camp after another, spending as much time as possible on the tricky courses around Guanabara Bay to learn about the local conditions! 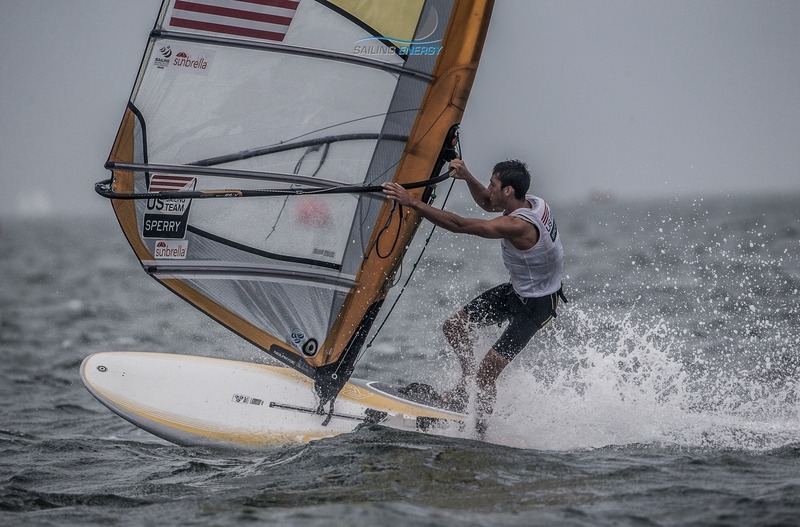 “My preparation has gone great so far,” remarked Pedro this weekend, as he’s getting ready to join his US Sailing Team Sperry teammates at a send-off party on Wednesday at the Houston Yacht Club. 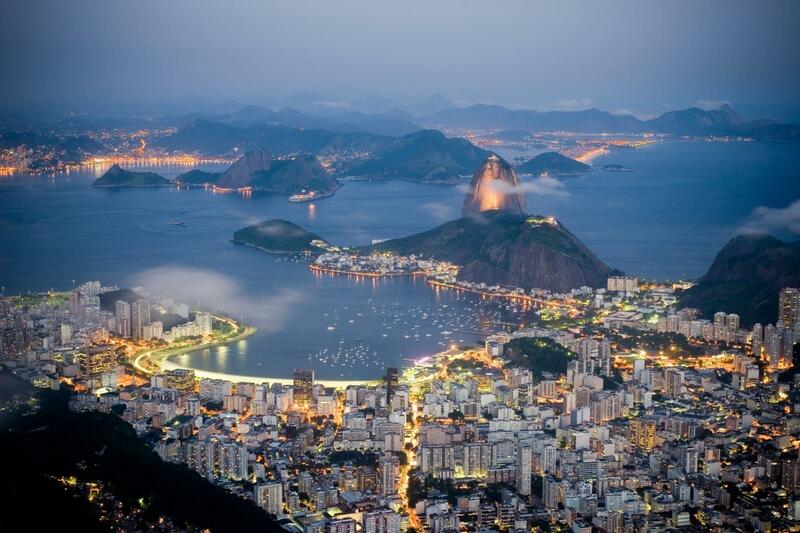 Rio has been a hive of activity for international sailors every since the Olympic cauldron was extinguished four years ago in London. More than any other Olympic sport, sailing depends on the environment, and the learning curve has been particularly steep this time around. Guanabara Bay is spectacular to the eye, but it’s an obstacle course for even the most motivated of breezes. Air turbulence from the giant hills of Corcovado, Sugarloaf and Dois Irmãos, refraction from the zig-zagging shoreline, venturi effect at the mouth of the bay, tides, currents, seasonal weather patterns, etc. Add to this the fact that mostly light winds are expected in Rio for the Games, and all of these effects are amplified to create a glorious case study in fluid mechanics! Think Marion and Pedro will have a leg up on the competition when they return to their engineering studies this Fall? “It must be a harsh air, without shade, without vertigo,” the Brazilian poet João Cabral de Melo Neto would say (“Deve ser a um ar duro, sem sombra e sem vertigem”). “I’m stoked that the Olympics are finally happening,” said Marion, as she made her way through team processing in Houston this weekend (‘processing’ is the word used to describe the 24 to 48 hours stopover that all US athletes have to do in Houston before heading to Rio, to take official pictures, get their uniforms tailored, and receive cultural and security briefings. In other words, pretty much your average TSA-screening!). Set your clocks to Rio time, 1PM, on Monday, Aug 8th. The name of the course area for the first race? Pão de Açucar. I read accounts of sailors who competed, saying that the media made it seem worse than it turned out to be. Next story Manny Convert joins the Board of US Windsurfing! Previous story Growing the sport one student at a time on Cochiti Lake, NM!